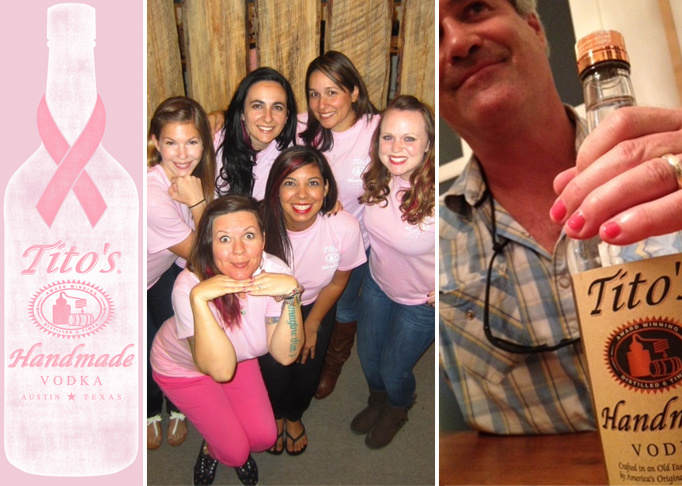 Tito’s Handmade Vodka goes PINK! to show their unique support by coloring their hair and nails pink. They're also offering a limited edition pink t-shirt that we were happy to work on! We helped them create a pink shirt using the pink ribbon around the neck of their bottle. They can be purchased from their site for a minimum donation of $15. All proceeds go to benefit the American Cancer Society. They then turned their marketing offices into a full on salon, and had a fun-filled day of coloring their hair and nails in pink to show support. You can read more about it here.